Music, dance, and drama are the themes of performances in the upcoming fourteenth season of Edgecombe Community College’s Edgecombe Performance Series. Each year, the College presents a series of performances for the community in a variety of artistic disciplines. All Performance Series events take place in Keihin Auditorium on the Tarboro campus, located at 2009 West Wilson Street. With more than 60 musicians, the Pitt Community College Symphony Orchestra is a collaborative effort between the college and the community to offer an educational orchestra for both students and members of the community. The philosophy of the orchestra is to bring together musicians from a variety of backgrounds and ability levels. The program is currently in its eighth season, under the direction of Michael Stephenson. On Sunday, October 28, the group will perform its annual fall concert in Tarboro, which begins at 3 p.m. General admission is free to the public, and no tickets are required. The beloved North Carolina Symphony Holiday Pops Concert is an annual tradition in Tarboro. Led by Associate Conductor Wesley Schulz, the concert will feature familiar seasonal and classical favorites, and the popular holiday sing-along. This year’s concert takes place on Wednesday, December 5, beginning at 7:30 p.m. General admission tickets are $25 for adults and $10 for students (Pre-K through college). ECC is pleased to welcome The Barter Players back to Tarboro for a third consecutive season. The theatre troupe is based at the historic Barter Theatre in Abingdon, Virginia. The Players will perform The Princess and the Pea for area kindergarteners and first graders in the morning, followed by an evening performance of Nathaniel Hawthorne’s The Scarlet Letter for the general public, beginning at 7:30 p.m. Reserved seating tickets are $10 for adults and $5 for students (Pre-K through college). 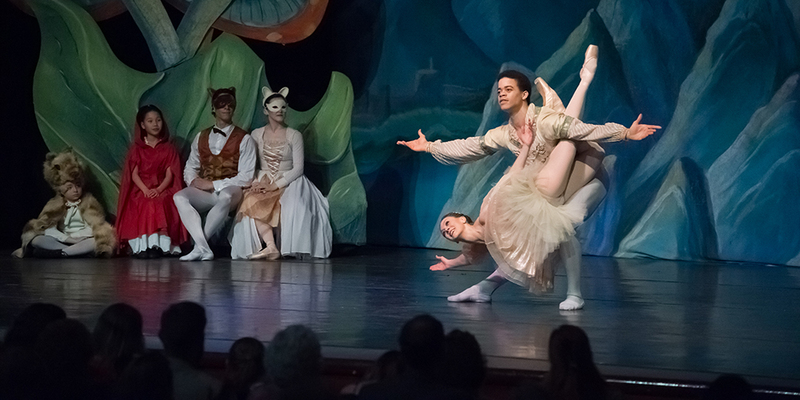 The New York Theatre Ballet will make its seventh consecutive appearance in the Edgecombe Performance Series. Under the direction of founder and Artistic Director Diana Byer, the company will perform for the public on Thursday, March 21, at 7:30 p.m., followed by an educational performance for area second and third graders on Friday morning. This event is sponsored by the Furman Mathewson Trust of Edgecombe County Memorial Library. Admission is free, but reserved seating tickets are required. Tickets for all Edgecombe Performance Series events (when required) are available through the ECC Box Office on the Tarboro campus. Tickets for the December 5 Holiday Pops and February 1 Barter Players events are also available online at Etix. Season tickets and New York Theatre Ballet tickets are available through the ECC Box Office only.